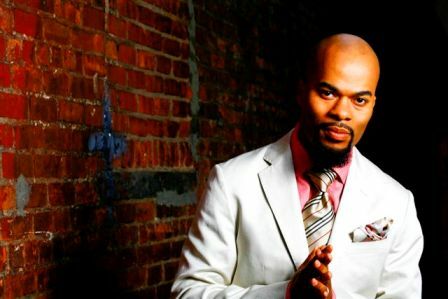 JJ Hairston of the group Youthful Praise spent time with The Black Gospel Blog recently to talk about the group’s genesis, its musical influences, and the forthcoming CD, Resting On His Promise (Light Records/Evidence Gospel), to be released September 1. TBGB: You grew up in the Church of God in Christ. How has this influenced your music ministry? JJ: It’s influenced us tremendously. At its base, the Church of God in Christ is a traditional movement. We have our youthful vigor as a choir, but at the end of the day we are a church choir. We present songs for a church service. We make music for people in the church. TBGB: Your pastor, Bishop J.C. White, made his own mark on gospel music. How has he influenced your style? JJ: Not only have we learned from Bishop White, and from all that he did musically with the J.C. White Singers and the Institutional Radio Choir, but we’re still learning from him. TBGB: Are all the members of Youthful Praise from Bishop White’s church? If not, are they all members of COGIC? JJ: Most of the members of Youthful Praise are in Bishop White’s church, Turner’s Faith Temple in Bridgeport, Connecticut. A few attend other churches and belong to other denominations. These are people that we met while on the road touring. We liked their sound and invited them to join Youthful Praise. TBGB: How do you define Youthful Praise’s sound? JJ: It is a hybrid of different sounds. Some call it contemporary praise and worship. I like to think of Youthful Praise as having a church choir sound but our songs are praise and worship oriented. We’re not your typical choir! TBGB: To what do you attribute Youthful Praise’s meteoric rise to success? JJ: It may seem like we’ve achieved success in a short period of time but we’ve been singing together for quite a while. The choir was started twenty years ago by teenagers in the church who were too old to sing with the children’s choir but not old enough for the adult choir. It was originally known as “Teens for T.F.T. [Turner’s Faith Temple].” Five of the original members are still with us. I wasn’t with them at the beginning. I took over as director only seven or eight years ago. TBGB: What is the age range of today’s members of Youthful Praise? JJ: Members range in age from 19 to 37. But we’re together all the time so age really doesn’t matter. TBGB: Your current single, “Resting On His Promise” – who wrote it and what was the inspiration for it? JJ: I wrote it because we are going through crazy economic times, and it seems like every morning on the news, we hear how far the economy is down. People are worried. I want to encourage everyone, and especially the people of God, that God said he would never leave us or forsake us. Anyone can sing a praise song, but it also needs to encourage God’s people. That what “Resting On His Promise” is all about. TBGB: What other songs on the new album are potential singles? 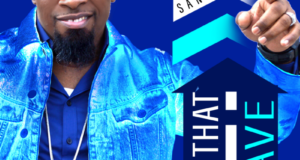 TBGB: What has been Youthful Praise’s biggest hit to date? 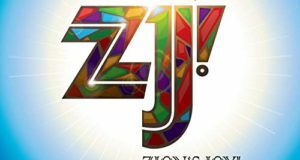 JJ: Even though “Awesome God” was the song that made us well known, our biggest hit to date is “Incredible God, Incredible Praise.” It was a new praise and worship song that attracted people who never heard of us before. 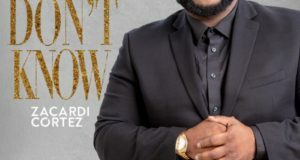 TBGB: Stars such as Shirley Caesar and Dorinda Clark-Cole sing with Youthful Praise on the new project. What was it like working with such gospel legends? TBGB: After the CD is released on September 1, where will Youthful Praise be? JJ: Everywhere! We’ll be everywhere! DC, Chicago, Texas, Detroit, all over. Later we will travel overseas to Italy and Switzerland. TBGB: So Youthful Praise is truly an international sensation! JJ: Yes, for example I am getting emails from fans in Africa. I didn’t know anyone in Africa even knew who we were!